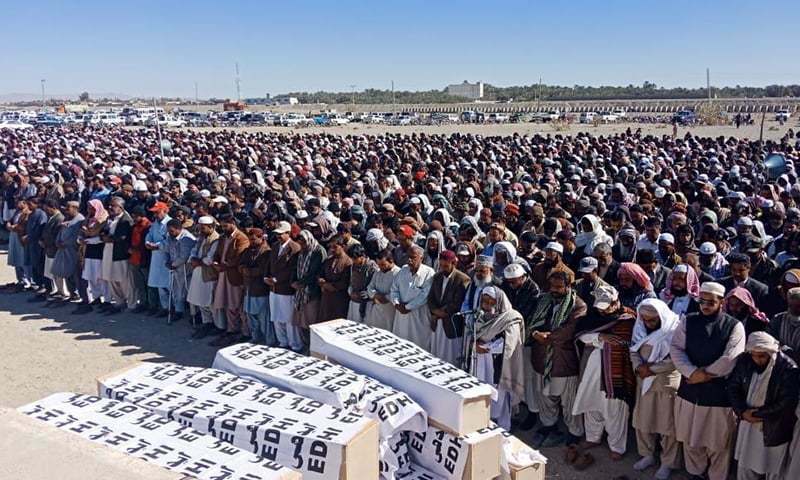 Even for a country inured to a quotidian degree of hardship and calamity, the scenes from the site of a crash between a bus carrying about 40 people, and a truck in Lasbela on Monday were horrifying all the same. They were made more so by the fact that such tragedies are largely avoidable if not for a series of personal and systemic failures. 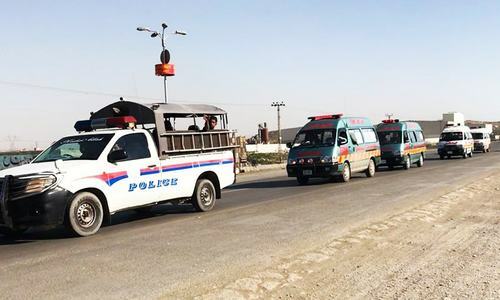 Hundreds of people lose their lives every year in traffic accidents across Pakistan owing to reckless driving, and vehicles that would fail to pass even the most basic fitness and safety standards plying across poorly designed, constructed and maintained road systems. Casualty rates are further exacerbated by a dearth of emergency services such as fire engines, lifesaving ambulances and hospitals with the human and physical resources to provide treatment for major traumatic injuries. The awful collision between the bus and truck is a convergence of most, if not all, of these factors. While it is too early, pending investigation, to establish culpability for the fatal crash, statements suggesting that the truck was carrying smuggled fuel might be true given how rapidly the fire spread through both vehicles, while claims that the bus had only one door from which to exit might have turned the carriage into a death trap with little chance of escape. In all, the inferno has claimed the lives of over two dozen people, including women and children, with several of the remaining survivors in critical condition. Reports from the area betrayed local authorities’ inability to adequately respond to mass casualty events of this kind, particularly on the long stretches between major cities and towns. With only one fire brigade tender in the nearest town, for example, firefighting trucks had to be called in from Hub and Uthal. Treatment for the survivors suffered setbacks as shifting the patients from the local hospital — which did not have the facilities to treat their injuries — to Karachi was delayed due to a lack of ambulances onsite. Though it is typical of our elected representatives and public servants to provide assurances that the afflicted will be taken care of and those responsible taken to task, for how much longer are people expected to tolerate this bare minimum response? The practice of dealing with crises as they arise must someday be set aside in favour of planning strategically to avoid them. It was an unfortunate and hapless incident. The emergency services were not its first kind; deemed sufficient for such a tragedy. What’s more alarming is that most hospitals lack basic life saving equipment and by the time, critical injured are rushed to the other hospitals, it’s too late. Now a days the traffic accidents have accelerated especially of buses. Why? Most of the passengers said that now a days the buses carry the smuggled goods and they are afraid of being caught by the custom. So they drive recklessly and fast as a result accidents occur. The passengers said that most of buses carry oil. That is why a crash between truck and bus occurred yesterday. 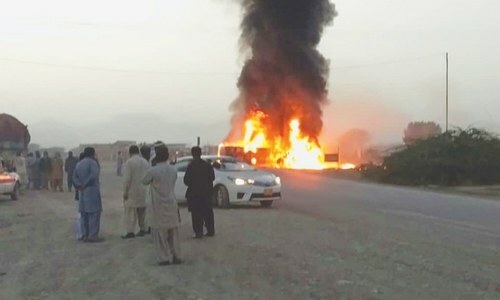 I request government to stop the smuggling and warn bus companies to avoid the smuggling bcz it is not only against law but also causes serious and dangerous accidents. Of course it could have been avoided, given better roads and better traffic enforcement. This is the cost of living in Pakistan. Could it have been avoided? Probably not because it was human error. By the time the drivers saw what was happening it was too late to prevent the crash. Every car accident can be avoided......there is a reason the road death toll in Pakistan compared to say Australia is 30 times. It is called following the road rules. Police cannot be everywhere all the time, it is our responsibility to drive carefully and give human life some value also in addition to strict policing.